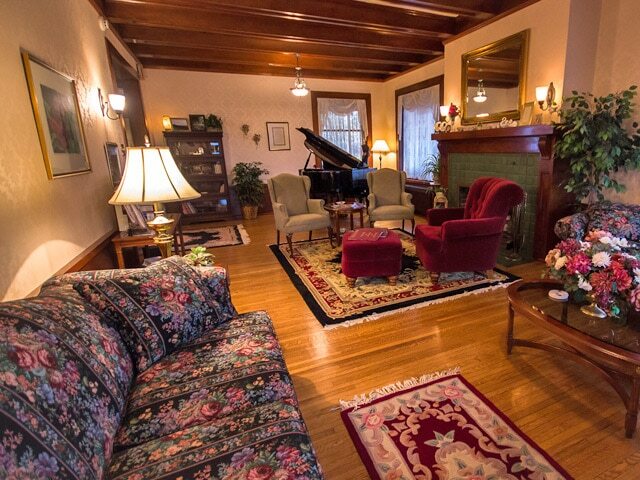 The Firelight Inn on Oregon Creek Bed and Breakfast is nestled on a secluded street adjoining Oregon Creek and amidst turn-of-the-century mansions in a historic neighborhood of Duluth Minnesota. Built by grain baron, George G. Barnum in 1910, the mansion has been renovated and furnished in a lasting and timeless traditional style. The Inn boasts 9,000 square feet, 12 fireplaces, a glass-enclosed front porch, five suites with private bathrooms, fireplaces, whirlpools for two and luxurious amenities. Experience Old World charm in an elegant and comfortable setting and receive unsurpassed hospitality and over-the-top service. Innkeepers Jim and Joy Fischer are celebrating 20 years of hospitality at the Inn in 2018. 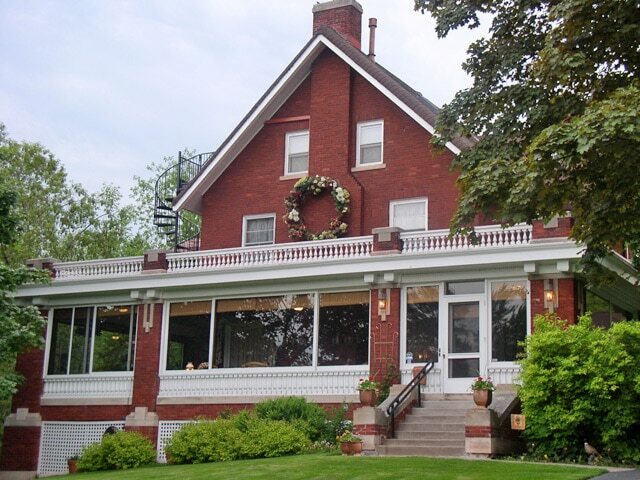 The Inn has been featured in Better Homes & Garden magazine, Minnesota Bride, Coastal Living and the Minneapolis Star Tribune and Duluth News Tribune. 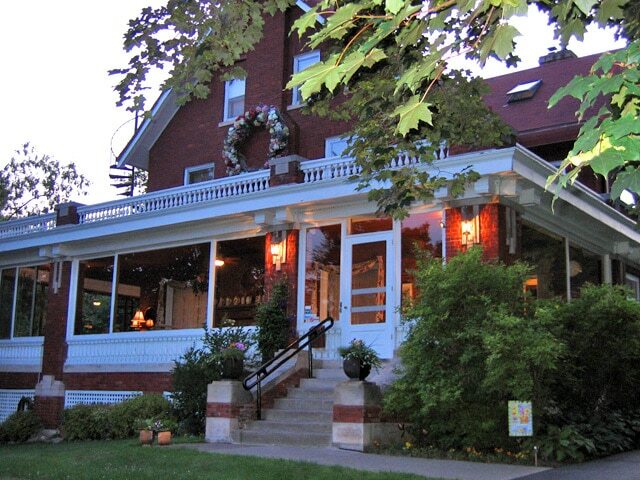 Inn travelers chose the Inn "The Best for Honeymoon and Anniversary". 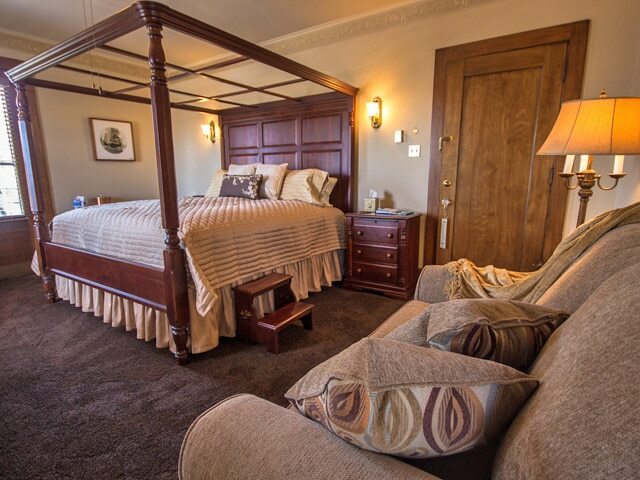 CBS Local chose the Inn "Best for a Honeymoon" and Certificates of Excellence have been issued by TripAdvisor. Our specialty is delivering a full, gourmet breakfast in an oversized basket to the privacy of your suite each morning where it can be enjoyed by the Firelight. 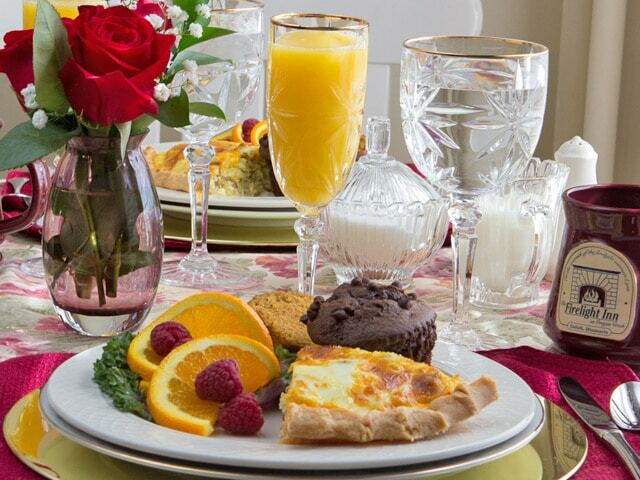 We would be happy to serve you breakfast at the dining room table or the glorious front porch of the mansion if you so choose. The Barnum and Brookside Suites feature an outdoor deck overlooking the creek and makes a perfect spot to enjoy breakfast or just to relax and take in the sounds of Oregon Creek as it works its way to Lake Superior. 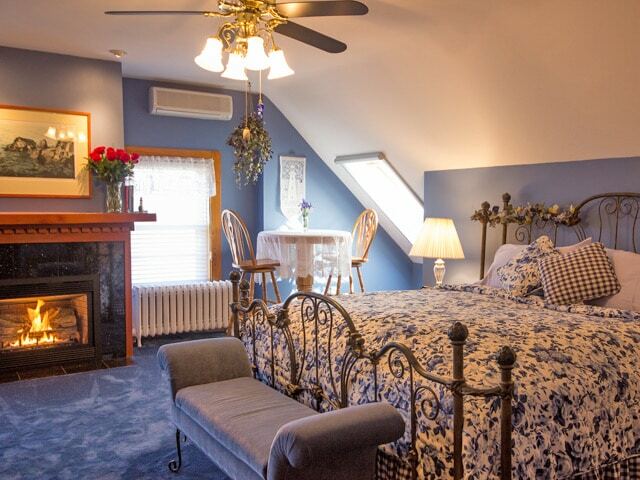 Located just minutes from downtown Duluth and all the local attractions, The Firelight Inn on Oregon Creek Bed and Breakfast is the perfect destination for your honeymoon, anniversary stay, birthday celebration, long-awaited vacation or romantic getaway. Add on special packages are available to help you plan your perfect time away together. 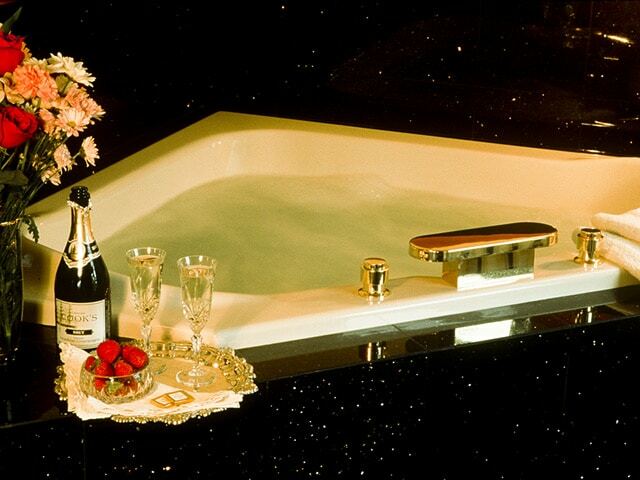 Choose from a champagne celebration package, a Firelight romance basket, roses, chocolate covered strawberries, a birthday cake with flowers, a Just You and Me Anniversary package, a Honeymoon/We Just Deserve It package, a Babymoon experience or a 20th-anniversary soup supper with anniversary mugs. 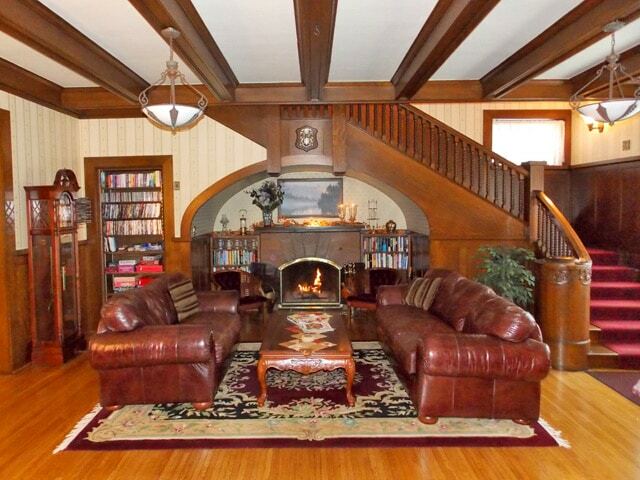 The Firelight Innkeepers await the opportunity to make your bed and breakfast experience a pleasurable one. "Let the warmth of the Firelight surround you!"